Can O’ Shrimp – Turtle Food | Zoo Med Laboratories, Inc. 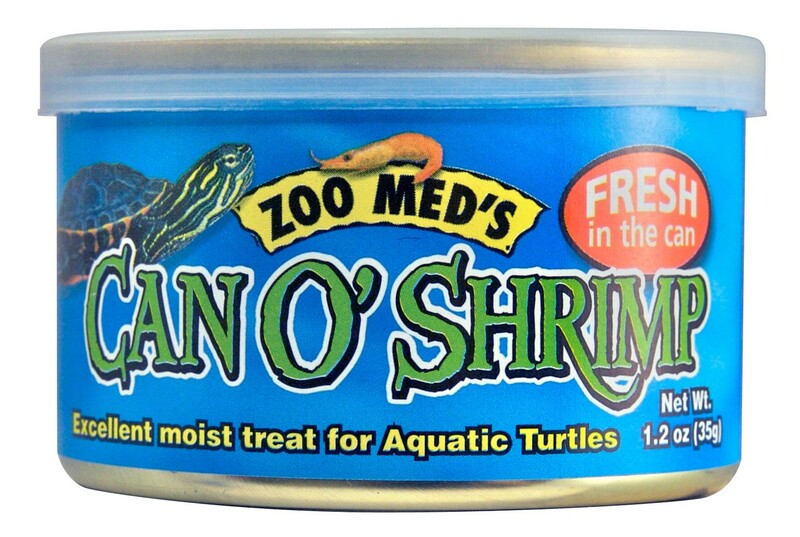 Zoo Med’s Can O’ products are the latest in reptile and fish nutrition and convenience. Our full line of feeder insects are cooked in the can (called “retorting”) which locks in the flavor and freshness, while also softening the exoskeleton for easier digestion. “Cooked in the Can” freshwater shrimp. Excellent high protein treat for aquatic turtles, amphibians, aquarium fish, and invertebrates. Fresh water River Shrimp (Macrobrachium nipoonense).